This majestic Whistler Luxury Chalet offers guests a rare opportunity to enjoy over 1 and 1/3 acres in a Whistler rental home. The 5 bedroom home is accompanied by a 2 bedroom guest suite. 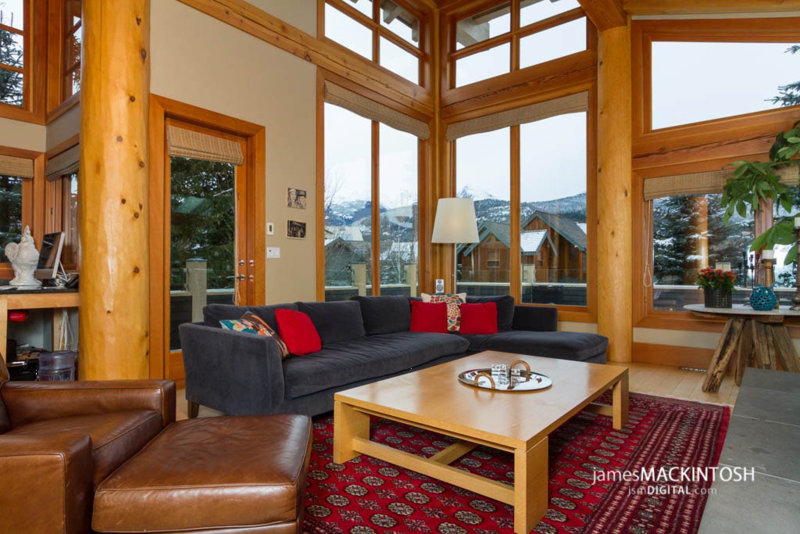 Guests of this prestigious rental estate home will enjoy views of Nita Lake and Whistler Mountain from the homes many picture windows. The skilled craftmanship and luxury furnishings can be seen through out both the home and guest suite. Situated on 3 levels guests can enjoy private space as well as large gathering rooms.